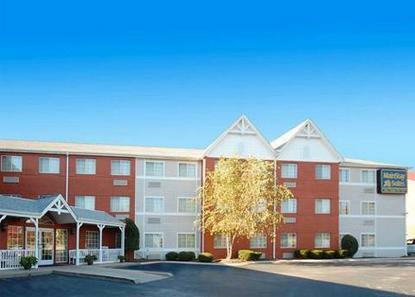 The MainStay Suites hotel is perfectly located less than one mile from one of the Southeast's largest malls, Hamilton Place, and Chattanooga's historic district. The Tennessee Aquarium, Lookout Mountain, which features Rock City, Ruby Falls and the Incline Railway, and the Creative Discovery Museum are less than 10 miles from this Chattanooga hotel. Enjoy outdoor activities at Camp Jordan and Lake Winnepesaukah Amusement Park, located less than seven miles away. Chattanooga's river boat, the Southern Belle, is 10 miles away. The Lovell Field Airport is less than four miles from the hotel. Over 50 restaurants and 30 theaters are within walking distance.